There are 2.7 million children with a parent in prison or jail. Ninety-five (95%) of all inmates will eventually be released. Ninety-two percent (92%) of parents in prison are fathers. Most—2 out of 3 inmates—will reoffend and be back in prison. When it comes to fatherhood and prison, we are locking too many dads in jail with little to no help. The fathers behind bars are not connecting with their families from behind prison walls or upon release. These dads need help. They need our help or they are likely to reoffend. 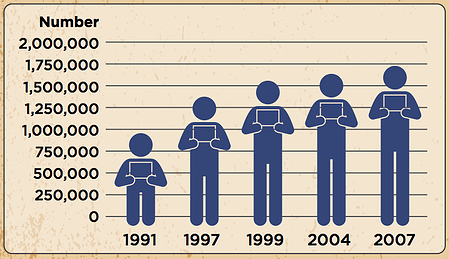 The father absence crisis in America is real. When we talk about father absence, we mention the U.S. Census Bureau's statistic that 24 million children—one out of three—live without their dad in the home. Over 13,000 of you have viewed The Father Absence Crisis in America. 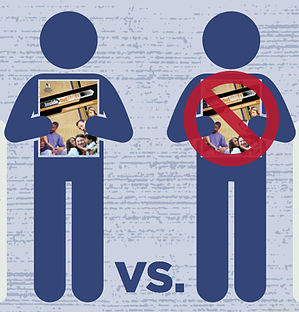 We received lots of feedback on that post. Some readers said, "Great, now we know the problem; what's the solution?" Well, the truth is, there's one answer: The solution to father absence is father presence. Our job here is done. You're welcome. Please visit our donate page....oh wait, that's not enough information, you say? You need more? We thought you might need a more helpful response to this problem. So, we decided to break down the problem into workable numbers and be sure you know what NFI is doing to fix the problem. There is a “father factor” in nearly all of the societal issues facing America today. We must realize there is a father absence crisis in America and begin to raise more involved, responsible, and committed fathers. 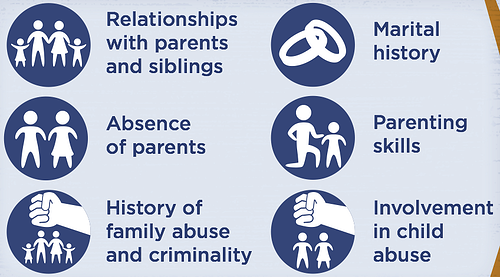 Having a parent who is incarcerated is now recognized as an “adverse childhood experience” (ACE), which is different from other ACEs because of the trauma, stigma, and shame it inflicts on children. Fathers are returning to their families without the skills they need to be involved, responsible, and committed fathers. Recidivism is a huge, national problem. NFI's InsideOut Dad® program for incarcerated fathers connects dads in prison with their children, heart to heart. 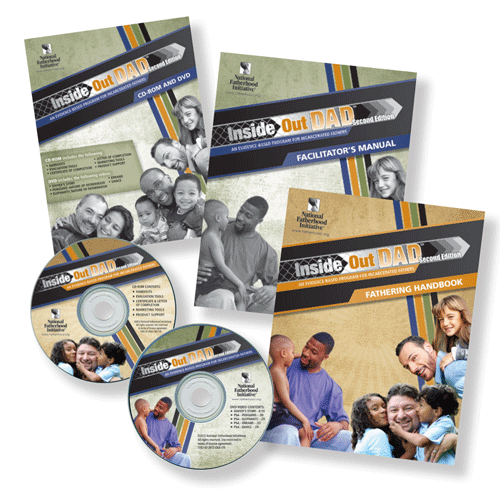 InsideOut Dad® is the only evidence-based parenting program designed specifically for incarcerated fathers. 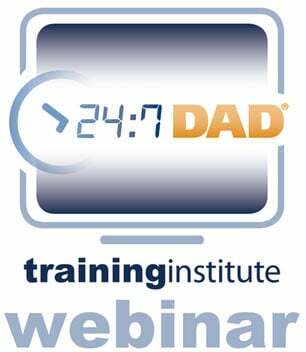 An evaluation conducted by Rutger's University found that fathers who went through InsideOut Dad® while in prison showed statistically significant increases in fathering knowledge and confidence/self-esteem compared to a control group. 1) Reducing Recidivism: Reentry initiatives that contain NFI's fatherhood programs have been found to reduce recidivism by 37%. 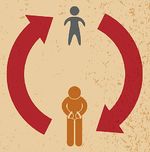 Recidivism WITHOUT fatherhood programs 38%. 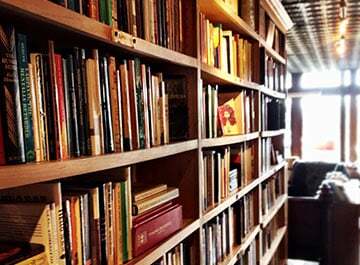 It has been said, “Idleness is a devil’s workshop”. Facility safety is of utmost importance in the corrections environment and benefits the Prison/Jail warden(s) as well as fellow inmates. Fatherhood Programs in particular can help to engage inmates and encourage good behavior. 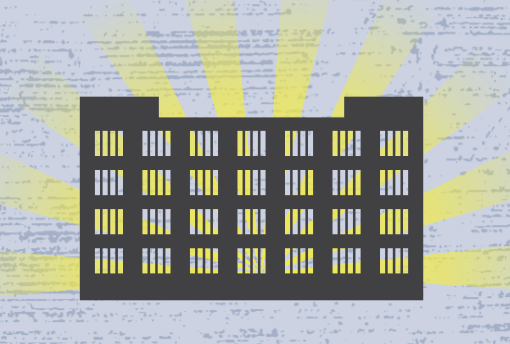 By connecting inmates to their role as a man, and specifically as a father, they are more engaged in that aspect of their life and in turn, can help to create a peaceful, contented environment as much as possible. In addition, men who participate in fatherhood groups often create a bond among members, which generates good morale. Good morale is important for safety and there are less disciplinary infractions. A study by the Vera Institute of Justice found the strongest predictor of success upon reentry was the perception by the person released that he/she had family support. Why does all of this matter? Well, because you and I are paying for what doesn't work and we have been for years. 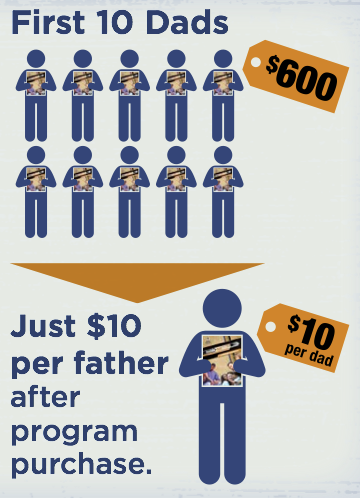 It's time for a solution that's cost effective for taxpayers and facilities: InsideOut Dad® program costs just $600 for the first 10 fathers, then sustained at only $10 per father. Because the program can contribute to reduced recidivism among fathers, the potential cost savings are huge. 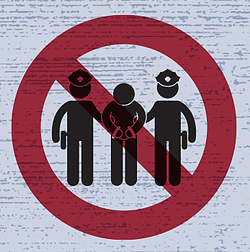 It costs an average of $29,000 per year to incarcerate a parent. 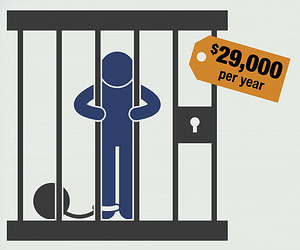 It costs an average of $29,000 per year to incarcerate a parent. InsideOut Dad® program costs $600 for the first 10 fathers, then sustained at only $10 per father. Be a Part of The Solution. 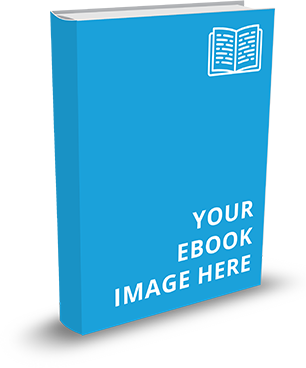 Visit Fatherhood.org/iod to download a sample of InsideOut Dad® or visit our InsideOut Dad® Page. Click here to enlarge this infographic.